Two headless dolls leftover from Four Voices called to me for two years. 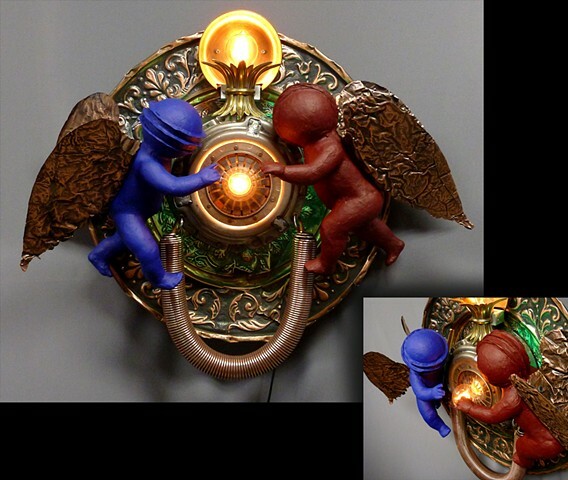 With new styrofoam heads, copper wings and fresh paper mache' skin, these cherubs hover near the light emerging from a clutch plate assembly. Thanks to my friend John Mraz for helping get them to "fly." Sold in the North West Museum of Art and Culture's Annual Art Auction in 2015.